In 2007 German game developer released a first person shooter released a game that signified a generational leap in visual game engine technology; punishing so called high end gaming hardware on its highest settings. If you bought the game day one, chances are you and nobody you knew had what it took to play on ultra at 1080P. If you were a PC gamer back then, you know exactly what we’re talking about. Crysis. It took 12 years but finally, a truly ‘next-gen’ visual experience is here and again it’s one developed in Europe, although this time Ukraine. The First Metro game was released 2010, only a few short years after Crysis. Metro Exodus, the third game in the series (if you don’t the re-release ‘Redux’ editions) has been in development since 2014 and was just released on February 15th. Working closely with Nvidia to be one of the first major game releases to implement DLSS and RTX features from the ground up it’s become a showcase piece to show off just what the tech can do. For fans of the Metro series, the genre, or even just cutting edge PC graphics it surely makes a compelling reason to upgrade an RTX powered rig if you haven’t already. Aside from the fancy graphics, how is the actual game? Despite the controversy of it being an Epic Games store exclusive on PC, critics are loving the game with it currently sporting a 84/100 on meta-critic. brings its survival horror to the surface without sacrificing any of the series’ signature tension. Taking the series to an open world environment, implementing a day-night system which significantly impacts game-play and going all out with their weapon customisation system, there is a lot to love aside from the fancy graphics. It’s not a run-and-gun twitch shooter by any means, it’s most definitely a survival horror game at its core favouring a more measured and stealthy approach to most sequences. Scrounging for, and conserving precious ammo, crafting new weapons at work benches and unlocking missions through interactions with game characters across a wide open environment it definitely has RPG elements thrown in to the mix. But what does it actually take to play? To answer this question, the first thing we need to do is figure out exactly what type of experience you’re looking for. If you just want to play the game and have no interest in gorgeous implementation of real time ray-traced global illumination then a GTX1060 and 6th-gen core i5 will be enough to get you through on medium presets at 1080P. But let’s face it, the most impressive part of this game is the visuals and if you really want to get the full effect you’ll need an Nvidia RTX series graphics card (sorry AMD fanboys). At the moment there is 4 of these RTX cards to choose from. Pair any of these with a current generation (8th or 9th-gen) i5 CPU or higher, 16GB of DDR4 memory and here is what you can expect. At 1080P Ultra with RTX set to HIGH you can expect around 40FPS with occasional dips as low as 25FPS. At 1440P Ultra with RTX set to HIGH you can expect around 29FPS with occasional dips as low as 20FPS. At 4K Ultra with RTX set to HIGH you can expect an unplayable frame-rate in the low teens. At 1080P Ultra with RTX set to HIGH you can expect around 50FPS with occasional dips as low as 30FPS. At 1440P Ultra with RTX set to HIGH you can expect around 36FPS with occasional dips as low as 23FPS. At 4KUltra with RTX set to HIGH you can expect around 21FPS with occasional dips as low as 15FPS. At 1080P Ultra with RTX set to HIGH you can expect around 60FPS with occasional dips as low as 38FPS. At 4KUltra with RTX set to HIGH you can expect around 25FPS with occasional dips as low as 17FPS. At 1080P Ultra with RTX set to HIGH you can expect around 78FPS with occasional dips as low as 46FPS. At 1440P Ultra with RTX set to HIGH you can expect around 58FPS with occasional dips as low as 37FPS. At 4K Ultra with RTX set to HIGH you can expect around 35FPS with occasional dips as low as 24FPS. Yep, you read that right. 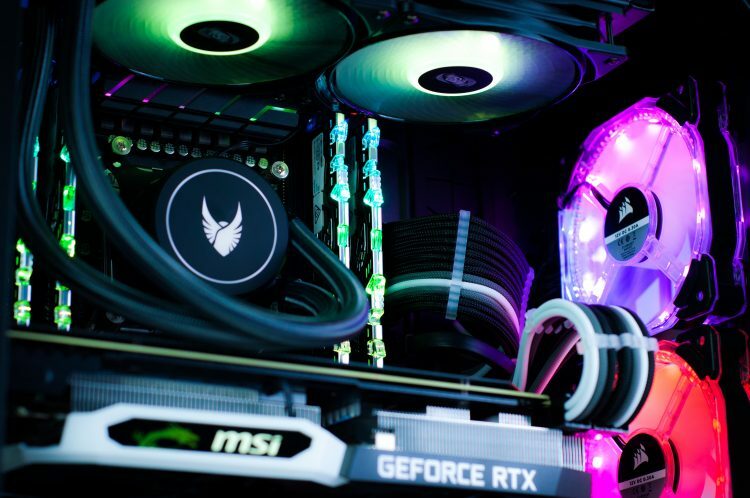 A $2,000 top of the line RTX 2080 TI GPU will be virtually unplayable at 4K on ULTRA presets. But don’t worry, the game will still look awesome on a 4K monitor with DLSS at 1440P or if you go in tweak some of those ‘ULTRA’ preset graphics options down a bit to get your desired frame rates. 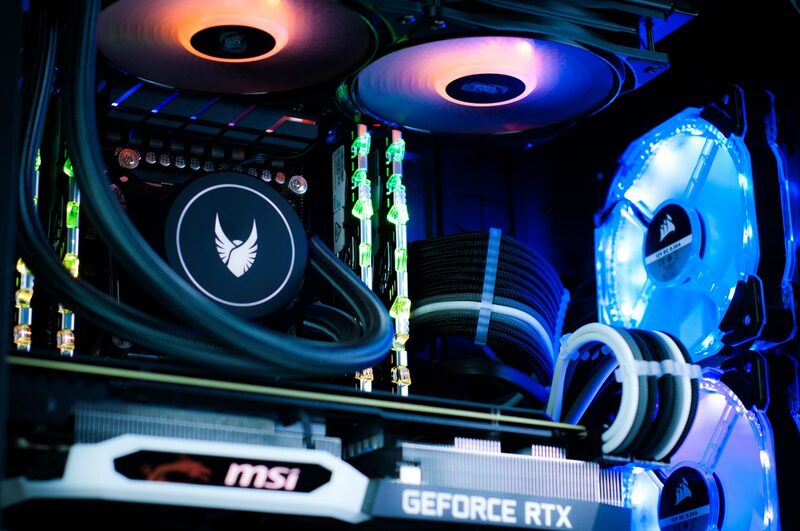 So where do I get my hands on a brand new RTX ready gaming PC? It’s easy. We build them to order right here in Australia and deliver to your door nation wide. 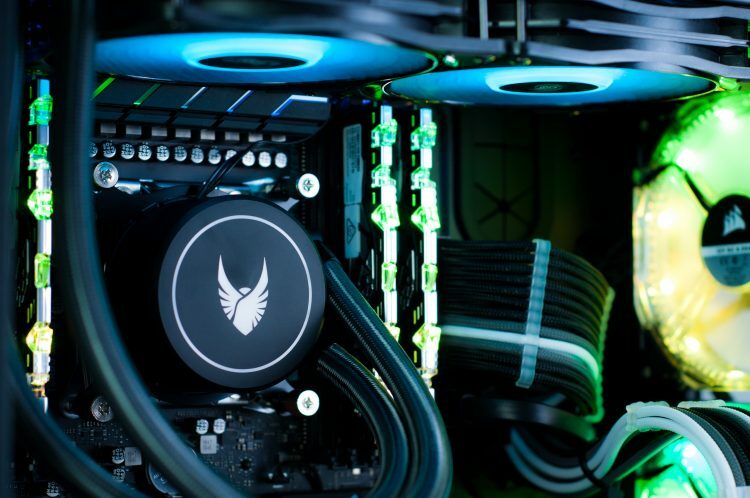 With built in compatibility checking and performance indicators you can use our online custom PC builder for unrivalled customisability options an instant quote with just a few clicks. A few more clicks and you can order online and have the system on its way to your door anywhere in Australia. Check it out by clicking here to get started. 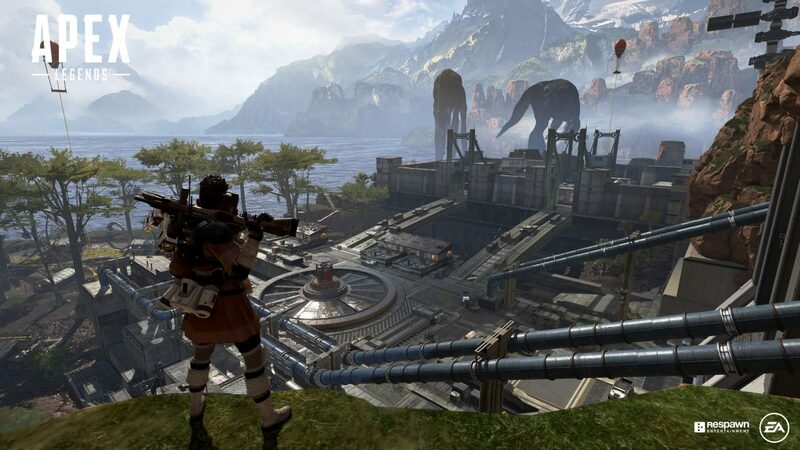 In a surprise announcement yesterday, Respawn Entertainment both announced and launched Apex Legends. A free to play battle-royal shooter set in the Titan Fall universe and running in the same engine. Taking on the likes of PUBG and Fortnite, the battle-royal shooter genre is fast becoming a crowded space but in just 13 hours Respawn recorded an active player count of over 1,000,000! Is it any good & what does it take to play it? Online reviews are very positive with quotes like ‘Better than Fornite in every way’ and ‘Feels a lot like Call of Duty Blackout, just more fun’, it’s pretty clear to see why it’s getting so much traction so fast. The developers have also promised long term support and updates with new content patched in periodically to keep it new and interesting to long term players. The game is currently only Available on EA Origin’s marketplace but is completely free and is set to stay that way. The developers have promised that all paid content will be cosmetic only and won’t give any players any advantages in-game. As with most free to play games, the hardware requirements to get it running are pretty minimal. A modern i3 CPU, 8GB of RAM and a GTX1050 will get a pretty enjoyable experience at 1080P with some of the in-game settings scaled down. That being said, crank all the settings up to max and this game really can look quiet good. To do so at 1080P, we would recommend a GTX1060 6G and i5 CPU combination with 8 to 16GB of RAM. You can scale up the graphics card to a RTX2060 and RTX2070 respectively for 1440P and 4K resolutions. Thinking of getting a new gaming rig? It’s a great time! 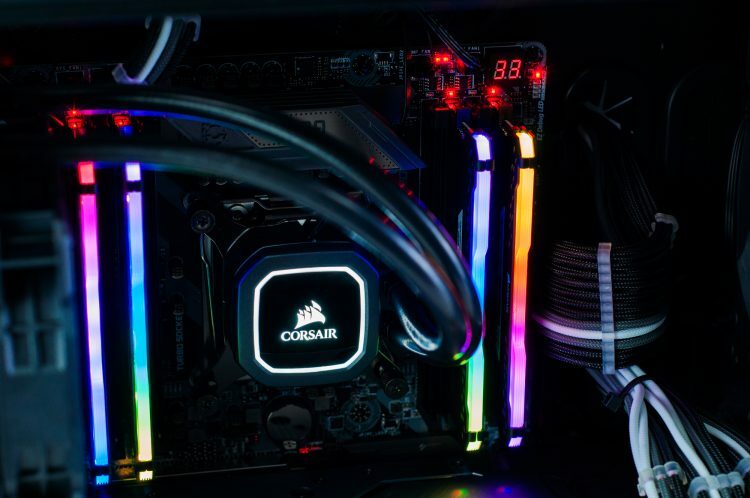 Head on over to our store page here and start customizing your next dream gaming PC today. Most of you will know about the big online game stores, Steam, Origin, Uplay. Perhaps if you’re into Fortnite, you’ll know of Epic Games. Even if you don’t care for Fortnite, there are a collection of other great games available on the Epic Games store. Right now, for example, “The Jackbox Party Pack” is free (until Feb 7th). 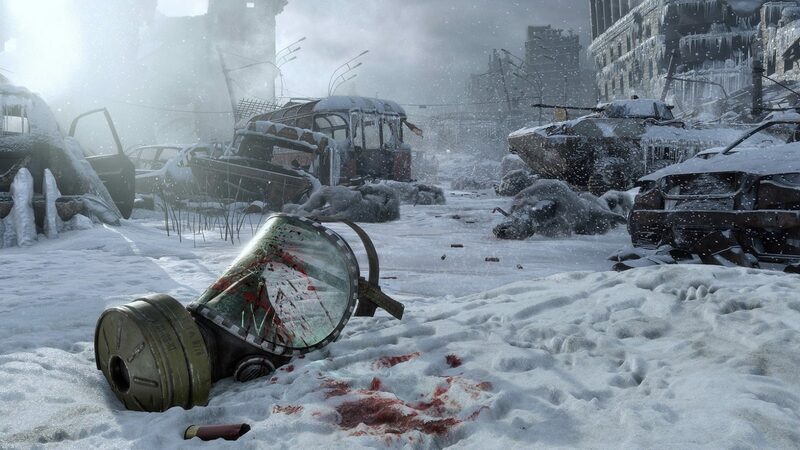 Highly anticipated titles “Metro Exodus” and “The Division 2” which launch this month and next month respectively. As Epic tries to secure their position as one of the top stores, make sure you check with them as they could have exclusive titles, or better pricing than other stores! Discord (previously well regarded for being the best platform for free voice and text chats between gamers worldwide) also has a respectable offering of games. Be sure to check with them, too, as pricing differs between all stores. Battle.net is one of the oldest still going. Giving us the Warcraft series, Starcraft, Diablo, Overwatch, Destiny 2, and Call of Duty. Not much of a range, to be sure, but an undeniable collection of highly regarded games. As annoying as it may be to have different stores to buy different games from, and at different prices, it creates competition, which should help keep the prices nice and affordable for us gamers, rather than one place having a monopoly and charging whatever they want. On the other hand, if you want to know what games you can expect to play with your next or current Evatech gaming PC… look no further than our games database which is deeply embedded into our PC builder. If you have already bought one of our PCs, simply re-enter the PC ID into our website to pull up your unique PC page (eg). Then scroll down to the games portion of the page, and you’ll see what games and what settings you can achieve. Let us know if we are missing any titles you want to see in our game database. Now that you know what you need to play the most anticipated games of Q1, head on over to our PC builder! 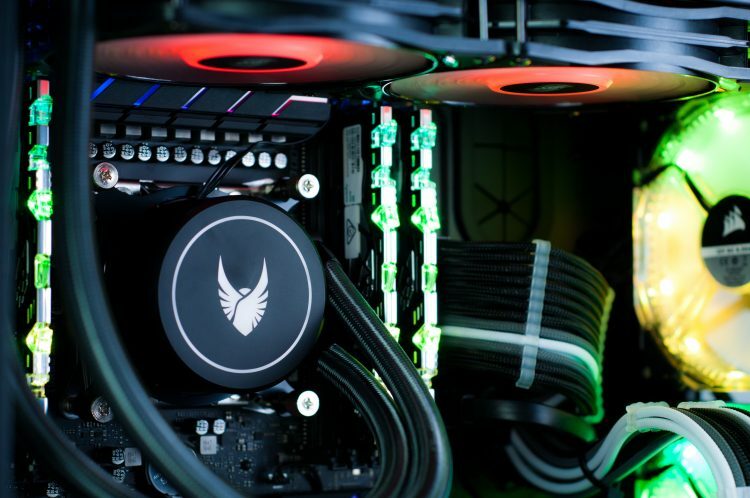 Is this the best example of how easy and effective our custom PC builder is to use to create stunning results? We think it might be. Undeniable gaming performance with room for upgrading in future if required, and a breathtakingly spectacular aesthetic theme to suit. 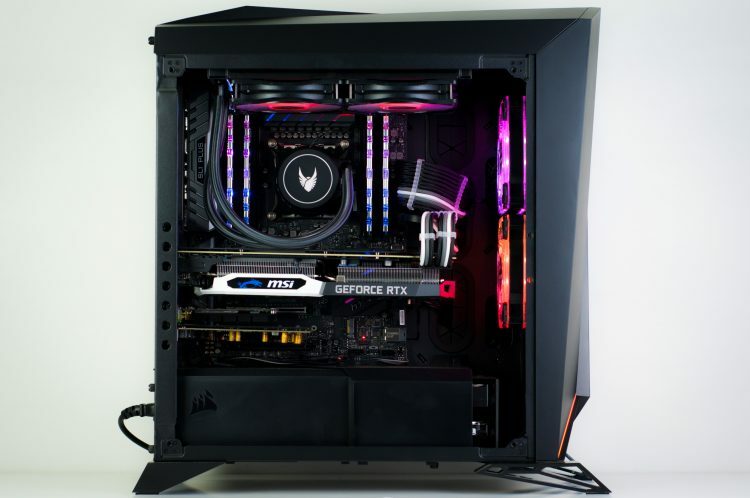 Check out the pictures below, and be sure to build your next gaming PC with us for similar results with next to no effort from you! With 4K monitors becoming more and more affordable, 4K gaming is spreading through the ranks of high end PC gaming fast, but what does it really take to push that many pixels? We take a look at a few of the most demanding PC games out right now to find out. Pre-ample : We’ll be focusing on the graphics card. Why? Well it’s almost always the choke point in gaming performance when you reach 4K. This is of course assuming the CPU and RAM are not bottle-necking it. For the results discussed below we would recommend 16GB of RAM and paring an RTX2070 with a i5 8600K or higher, the RTX2080 with a i5 9600K or higher and RTX2080 TI and any modern i7. 4K is a LOT of pixels on the screen and rendering them takes a toll on the GPU. Even Nvidia’s latest generation RTX line up can struggle at times depending on the game and in game settings. Thankfully PC games comes with a lot of in-game graphics settings that all can be adjusted independently. This means with a bit of time tinkering with these options you can often find a sweet spot where performance reaches your target and the game still looks great. With the RTX 2070, 16GB or RAM and a mid-range i5 you can expect 4K to playable at 60FPS or more in games like Far-Cry 5, Assassins Creed Origins, Shadow of the Tomb Raider, GTA V, PUBG, Destiny 2 and Battlefield V, but don’t expect it at ultra. That being said, making the comprises to in game graphics settings in the right way and the visuals will still look great. Take the time to mess around in the settings and give the game a try each time you make an adjustment. It may take a while it’s definitely worth your while. What can the RTX2070 play at 4K / Ultra settings? Well there’s quite a lot actually. Wolfenstien : The New Colossus. Note to mention the still very popular but older or less demanding games like World of Warcarft, Leage of Legends, Starcraft and DOTA 2. Paired with 16GB or RAM and a high end i5 CPU you can expect somewhere in the realm of a 10-25% boost in performance (depending on the game in question) over the RTX2070. This is enough to push those games that might have been playable at medium settings / 4K on the RTX2070 up to the high presets with approximately the same frame rates. 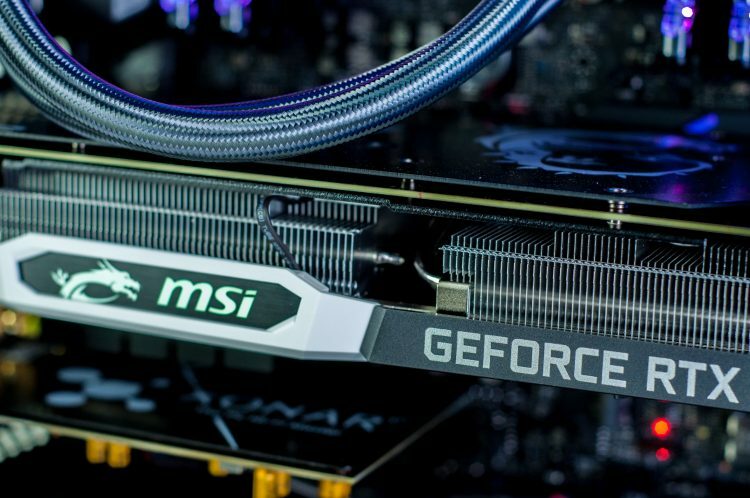 The single most powerful gaming GPU on the market today. 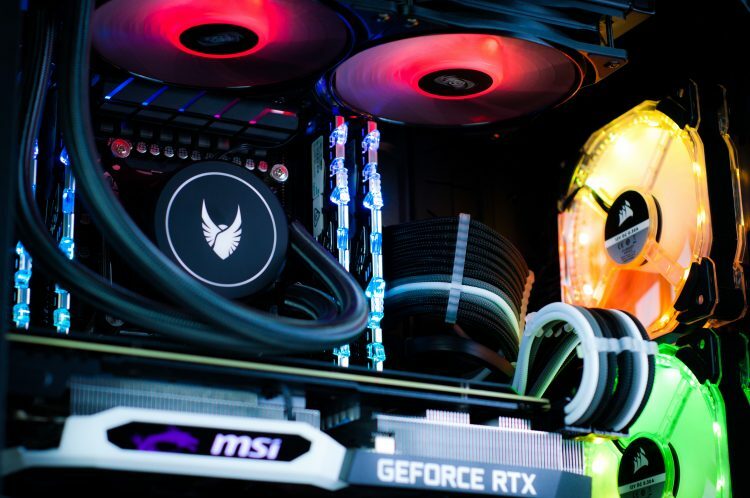 Paired with 16GB or RAM and a modern i7 CPU the RTX2080TI delivers frame rates in the range of . This is enough to push those games that might have been playable at medium settings / 4K on the RTX2070 up to the high presets with approximately the same frame rates. With the additional GPU overhead that RTX or real time ray tracing places on the GPU, it’s little wonder that even the RTX2080 TI struggles to put up respectable frame rates at 4K in the few games that support RTX when it’s enabled. However with it still being a very new technology, the game developers with the help of Nvidia are constantly making improvements. DLSS or deep learning super-sampling is an ingenious technology designed to use artificial intelligence to scale lower resolution rendering up to higher ones with minimal loss of detail and big gains in performance. Once we start to see a few more performance patches, updated drivers and games start to launch with DLSS and RTX both built in, it may be a very different story. Battlefield V will be the first to market with this DLSS and RTX combination with RTX being implemented already but DLSS on the way in an upcoming patch. Nvidia boasts enabling DLSS with RTX turned on will result in very similar performance to having RTX off all together which, if true, is fantastic news for 4K gamers. 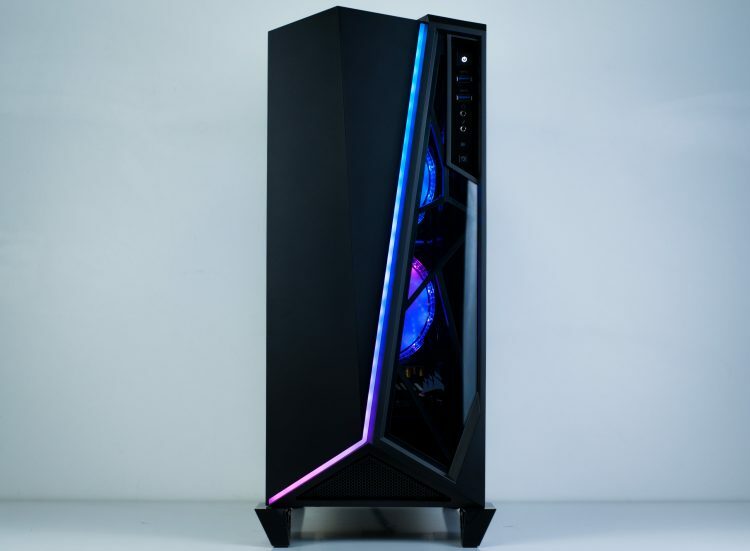 Well now you have everything you need to know, you can jump right in to our custom gaming PC builder (linked here) and get started. Just bare in mind the recommended CPU and RAM pairings with each GPU, don’t forget to set aside some of your budget for the 4K monitor. As for the other components, our custom PC builder page is pretty good at guiding you through the options so you don’t need to worry too much. A lot of the options are mostly based on personal preferences and come down to aesthetic choice, or how much storage capacity you think you’ll need. If you have any questions before you place your order feel free to shoot us an email at any time and we’ll get back to you ASAP. Monitors are something that are frequently updated with new models, so if you’re reading this a few months or more after this article was originally posted, pricing and availability may have changed. That being said, the industry trend is heading towards more options at better pricing so unless something terrible has happened, the options will only be better. Fans of the series probably are already keenly aware that the next installment in the critically acclaimed Metro series is only just over a month away. However there are probably a lot of you out there who might not have tried the previous games and are hungry for some proper post-apocalyptic single player action after the flop that was Fallout-76. Based on a series of novels, the Metro world is a dark and gritty survival story of a group of Russians exiled to the metro subway tunnels in a bid to escape the radiation and wasteland horrors above. The series is best know for it’s atmosphere and is easily one of the most eerie and unnerving experiences you can find a video game. Playing this game like a run & gun arena shooter (eg, Doom or Quake) is simply not going to work. 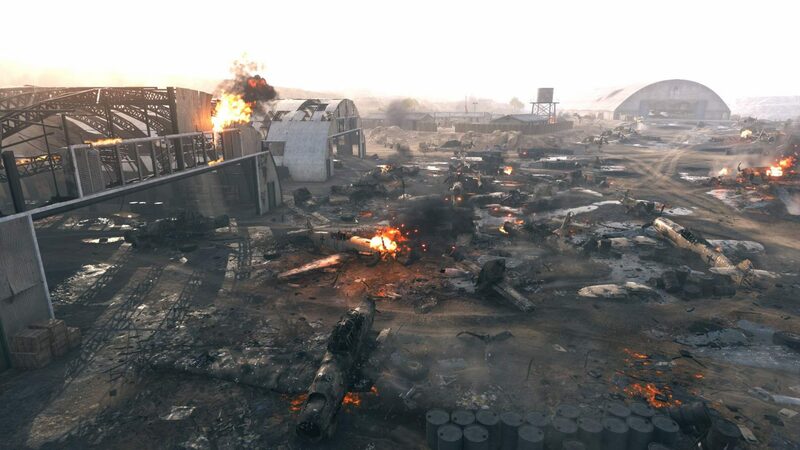 Ammo is scarce, environments are dark and getting hit my enemies is devastating and unforgiving. While it may not be everyone’s cup of tea, this is a game that rewards stealth & patience for those with a high tolerance for the creepy and unsettling, not just shock and gore. Landing February 15th on Steam and PC game retailers. Exodus will be the first in the series to really focus on larger scale open outdoor environments with the player traversing the wasteland between levels in an above ground train. The game is staying true to it’s roots and fan base with a purely single player story driven experience. No multiplayer, no battle-royal, no paid hats, loot boxes or weapon skins. The game will be among the first to have a full and proper RTX real time ray tracing integration for gamers with RTX series video cards. The seasons will change as the game progresses with the story taking place over a year and within each level there are full day/night cycles. Weapon customization has been expanded and optimized. 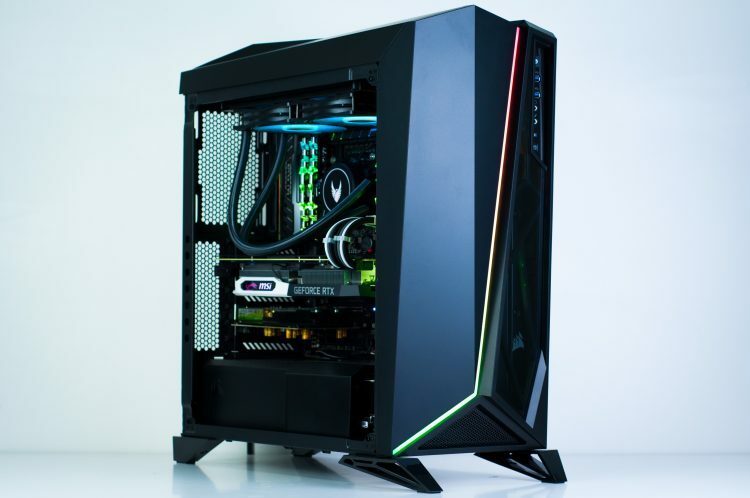 Official PC system hardware requirements have not yet been published but expect to need a pretty beefy high end system if you want to crank the settings up to high and take advantage of RTX. We would recommend an modern i5 CPU, a RTX2070 GPU and 16GB of DDR4 system memory. 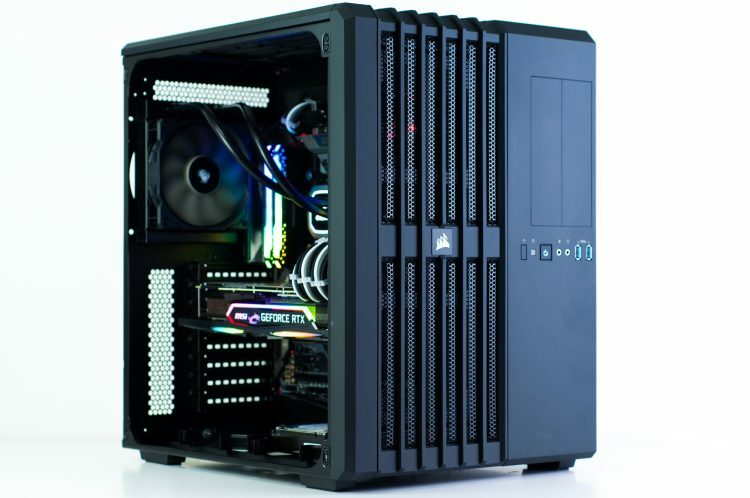 Time for a new Metro ready gaming PC? 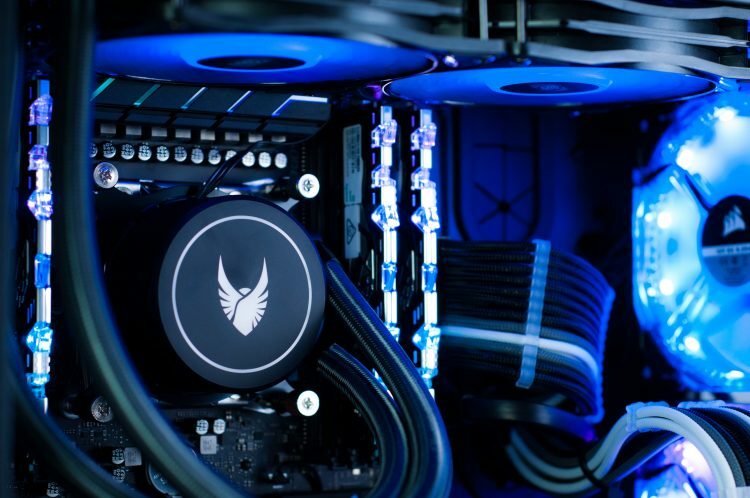 Head on over to our custom gaming PC store page and checkout the full range. As mentioned above, at the time of writing this article the official hardware specifications haven’t been released but common sense says if you go with an i5 or Ryzen 7 CPU, RTX 2070 and 16GB of RAM in your system, you’ll be ready. It’s no secret that while the Division 1 had some great concepts and potential, it failed to live up to the hype and turned out to be a pretty average game at best. That’s what makes Division 2 so exciting. Ubisoft has the chance to take what it learned the first time around and actually deliver on the potential. It might have an uphill battle in convincing players of the first installment to give it another try, but there was enough done right in first game that we feel the majority will pick up #2 for a try. Straight from the Ubisoft’s website, the following are the game publishers recommendations for each performance tier. This level of detail is something we rarely see from game publishers and their official hardware specifications and it’s great to see. Hopefully this is the begging of a trend so gamers really know what soft of performance they can expect before they buy. Now you know what soft of hardware you need, if you don’t think your current gaming PC is up to the task, you can head on over to our custom PC builder store page and start customizing your next dream custom PC. Order soon and get it delivered and ready to go before launch! 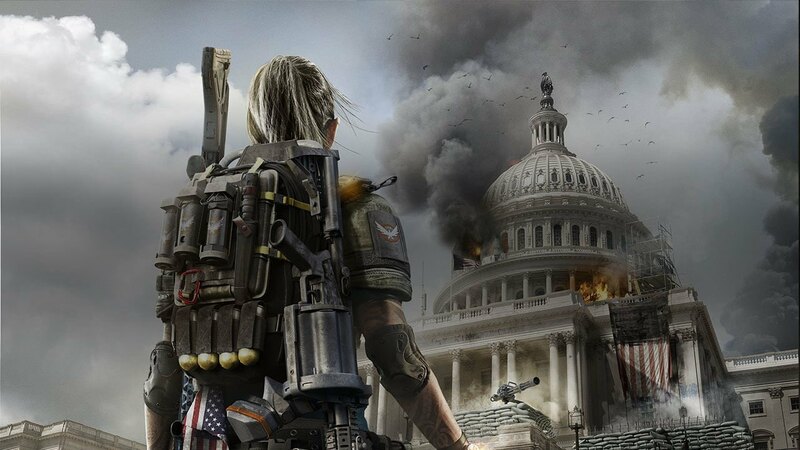 The Division 2 is currently slated for release on the 15th of May. It will be available for download via the Epic Games Store and of course the Ubisoft Store (uPlay). PC, The Definitive Version, As Expected. While it’s par for the course for big budget action games to get higher fidelity and better graphics settings on PC, Ubisoft are going all out this time around with a myriad to PC optimized features and functionality. With Battlefield V’s Tides of War Chapter 2 update being released next week and the RTX2060 to follow soon after we’re decided it would be a great time to jump in and review what sort of gaming PC it requires to play Battlefield V with RTX on (Ray Tracing) at 1080P / 1440P and 4K. We’ll be doing this with a focus on the RAM, CPU and most importantly the video card (GPU) as these are key components that contribute to performance. All other components do not directly contribute to in game performance so you can pick and choose your favorites based on personal preferences, aesthetics and functionality requirements. When Battlefield first got it’s original RTX enabling update it only enabled real time ray tracing which arguably is one of the most impressive features of the latest generation of RTX series graphics cards. However it did not initially get DLSS, aka Deep Learning Super Sampling. For those unfamiliar with the concept, this technology is essentially a ‘smarter’ way of handling AA (anti-aliasing), the togglable option in most modern PC games that essentially smooths out rough edges. 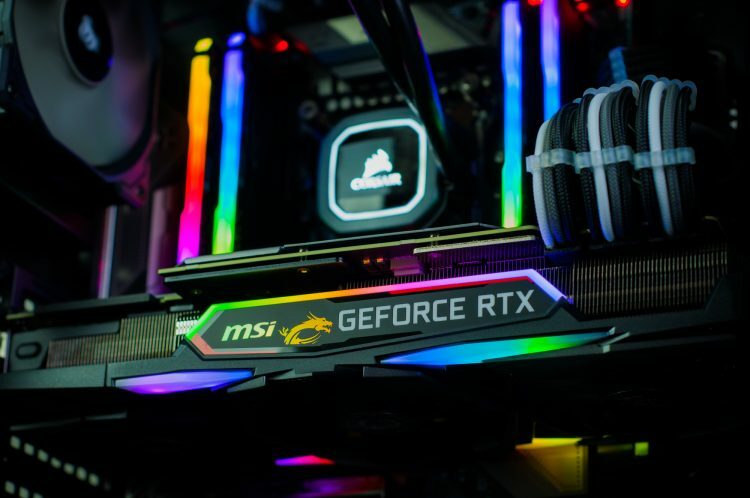 At Nvidia’s latest press conference at the 2019 CES show in Las Vegas, they showed off performance charts that indicated enabling DLSS would not only make the game look that much better, but actually boost your in game performance when ray tracing is enabled. Now this isn’t something that’s been guaranteed to be included in the big upcoming patch but Nvidia and Dice have promised to deliver it ‘soon’. Nvidia’s newest GPU to hit the market in the wake of the RTX 2080, then 2080 TI and 2070. 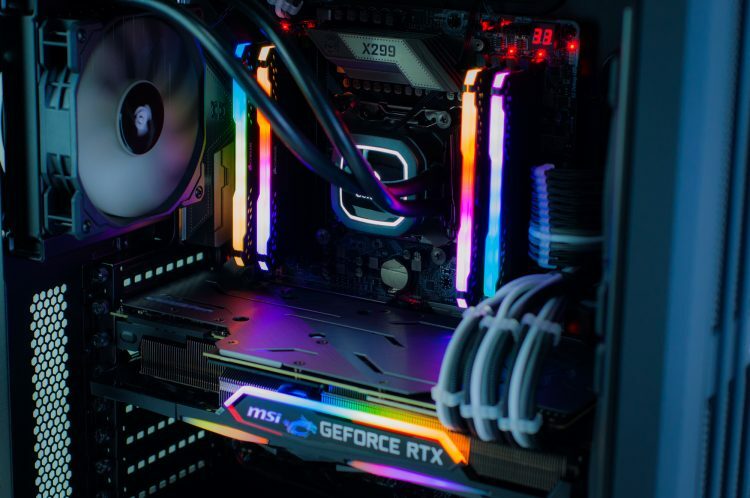 As the name suggests the price and performance of this card is expected to land a touch below the RTX 2070 offering the latest RTX enabled tech like ray tracing and DLSS at a new lower price point. These cards are set for release on January 15th however initial price and availability is still TBD. For more details on the upcoming RTX 2060 reach out to us or stay tuned to our website. Now you can compare these against the RTX 2070 to get an idea of the overall performance. You can checkout the full summary of the CES press conference on the Nvidia website here for a recap, videos and presentation slides. 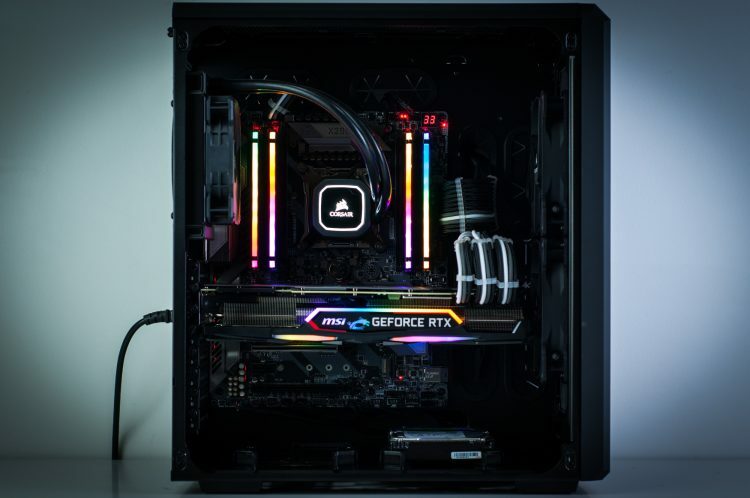 If you want to play along at home and while you read this article also begin customizing your next dream custom gaming PC for Battlefield V on our website simply head on over to our store page (by clicking the link here). 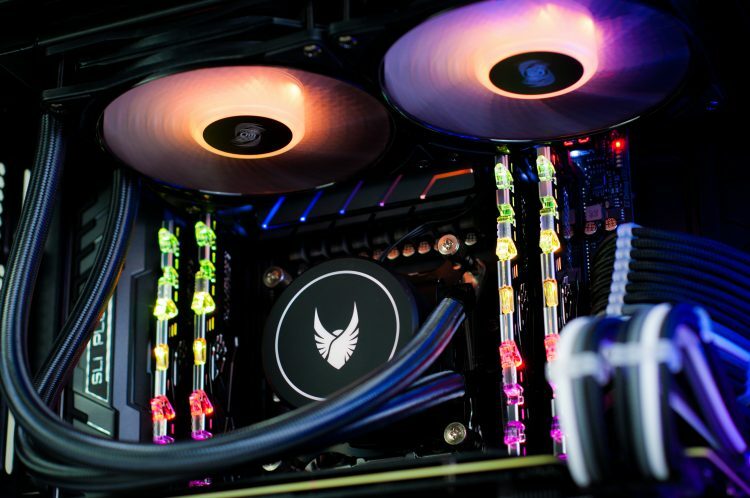 It’s quick, easy and with a click of a button you can upgrade, downgrade, remove or add a massive range of the latest PC hardware to your build, then with a click of a button save it for later or order it online! Based on the independent third party performance testing of Battlefield V coupled with Nvidia’s CES press conference data, we would recommend the following specification. Of course this doesn’t take in to account various other in game settings that can effect performance but we would base this on the high graphics pre-sets with the possibility of some minor tweaks. Recommended pairing with the other non-performance delivering components for the best balance ‘bang-for-buck’ value. WiFi & additional hard drives if needed. Scaling up from our 1080P recommendation would push the video card and CPU up a notch but keep the RAM at 16GB. 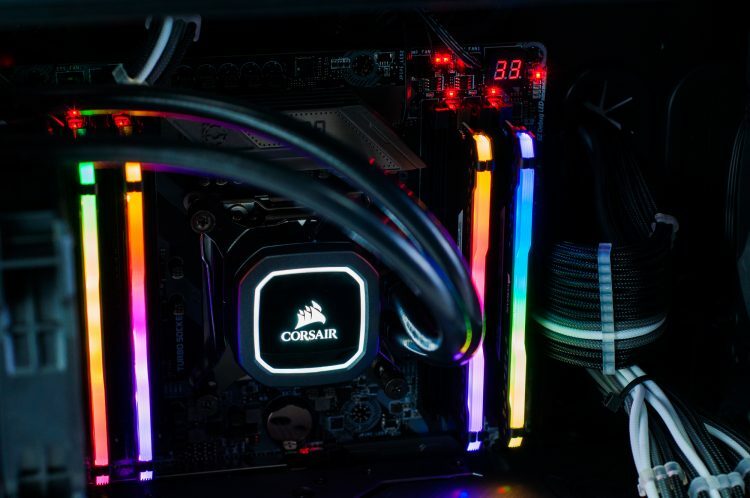 RAM is something that doesn’t necessarily add anything in terms of performance simply by having more of it than you need nor is more necessarily required when you increase your resolution, frame rate or graphics settings. As a result, with 16GB being the sweet spot for value for any performance in PC gaming right now, it will be the same across all our recommendations. 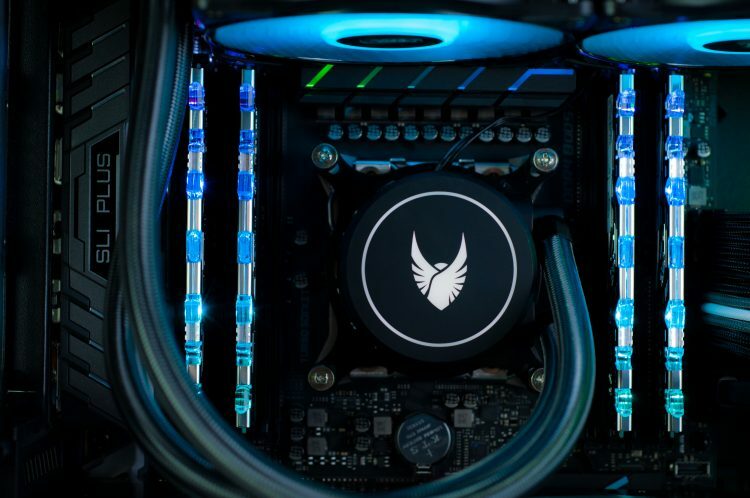 Again, here’s a recommended set of accompanying components to fill out the rest of your build for the best ‘bang-for-buck’ value and performance when pairing with the CPU, GPU and RAM listed above. 4K is a very very high resolution for gaming. To play at 4K you are essentially asking your video card to render 4x as much in terms of pixels on the screen when compared to a regular 1080P display. Does this mean you need 4x the amount of GPU horsepower to achieve it? Not quiet, but don’t expect to get there on a budget. This is why the RTX2080 TI exists with it’s enormous amount of GPU compute power, and the price tag to match. This is an extreme GPU for an extreme level of fidelity in game. You will also need a 4K monitor which don’t come cheap, and even, you may need to scale back some of the other in game settings slightly to keep the dips above 60+ FPS. Last but not least, here is the hardware we would recommend pairing with this CPU, GPU and RAM. Of course this is just a guide and you can by all means make any adjustments or choose any other hardware you wish. Our custom PC builder has built in error detection so you don’t need to worry about compatibility issues. If you wanted to get our option and some recommendations on your configuration after you’ve saved in on our website just shoot us an email with the PCID number! 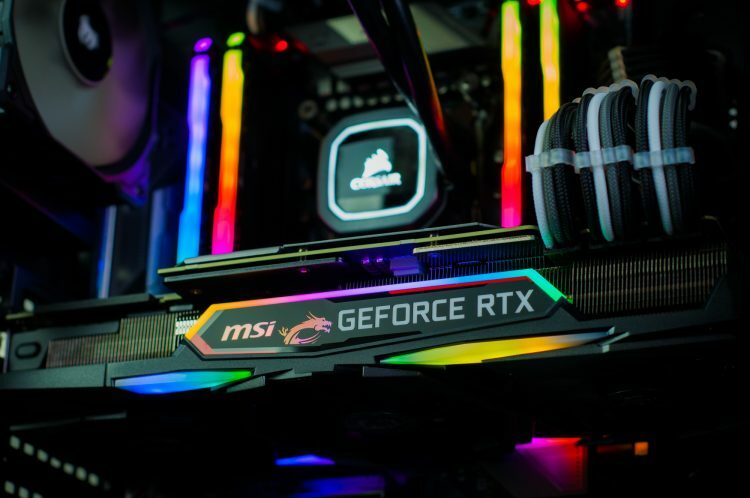 Nvidia is also offering both Battlefield V or Anthem free with any purchase of an RTX series card from selector vendors. This offer is also included when purchasing an RTX powered custom gaming PC from our store at www.evatech.com.au. This offer is valid for a limited time only, see our site for details. 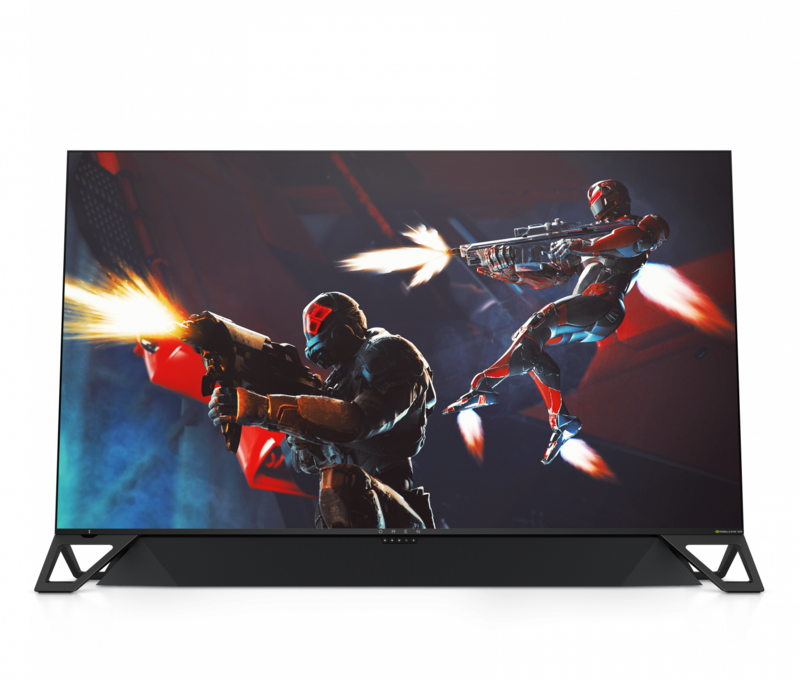 Back in September we had rumours and leaks about Nvidia cards reportedly supporting Variable Refresh Rate (VRR) or essentially G-Sync with FreeSync monitors on some updated drivers. Those reports were quickly put to bed, being called a “bug” and drivers since then have not supported it; business as usual. I was curious, wondering how long until it became official then. And in the last few days we’ve had our dreams become reality… perhaps even VRRR! Variable Refresh Rate Reality? Bad pun. The driver that brings support for all the above will hit January 15th (or 16th since we’re ahead in Australia), so you can try for yourself if you have a FreeSync monitor already. Why now, what took so long? For those of you who may be wondering why Nvidia didn’t make this change sooner, there are multiple reasons, and they may not all be simply that Nvidia is a “money hungry company”. Instead, consider the following. With the above points in mind, perhaps we can now see that Nvidia was interested in ensuring a high quality gaming experience for those who didn’t want to spend hours figuring out which displays were of a high enough quality to support issue-free gaming. It was simply a case of “any monitor with the G-Sync functionality is the one I want”. But now, anyone can get in on the VRR life, albeit with differing degrees of quality. No doubt that with time and driver updates the compatibility can and will improve, but for now this is where we’re at. And we’re plenty excited enough!